Riding on the incredible luck we had in the morning with Choti Tara and her cubs, where the cubs gave a great example of stalking prey, we drove deeper into Tadoba National Park. We had a single point agenda for the rest of the drive; to try and spot Maya, the oldest and most popular Tigress found in Tadoba and aptly named the Queen of Tadoba. 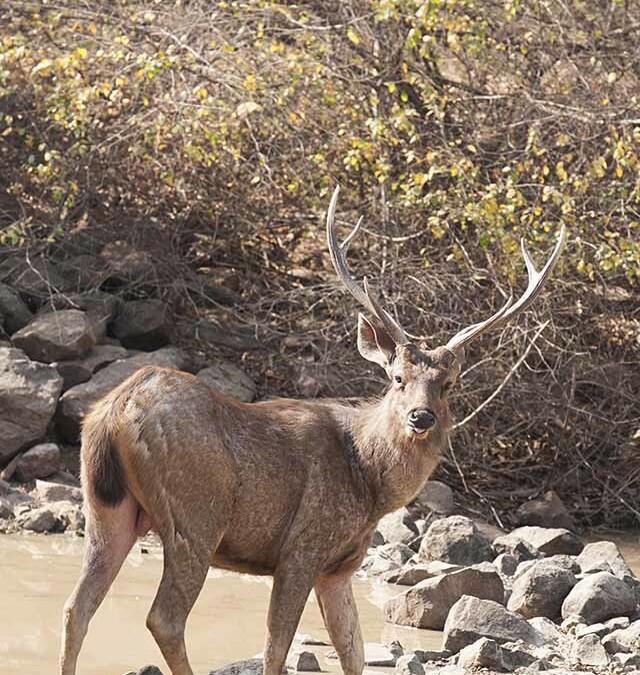 She had been spotted frequenting a couple of waterholes and we decided to just stay put around the same area. 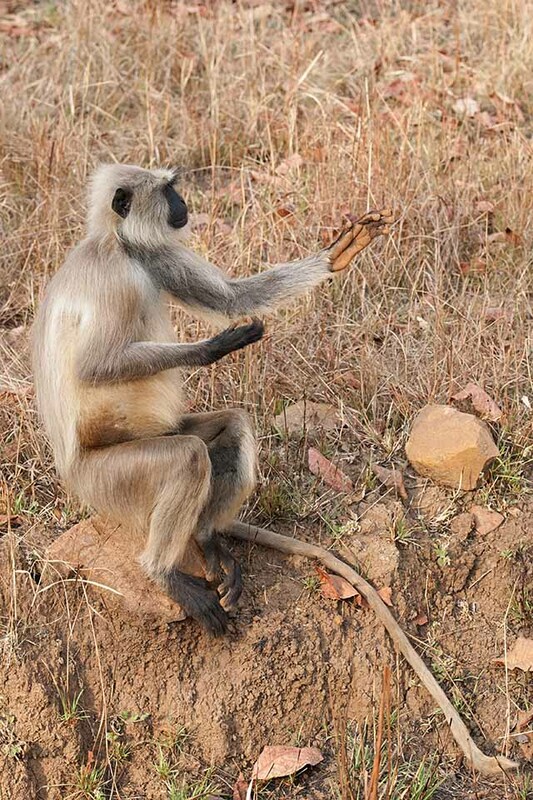 There was a bunch of thirsty Langurs at the first waterhole and we stayed there to watch them. 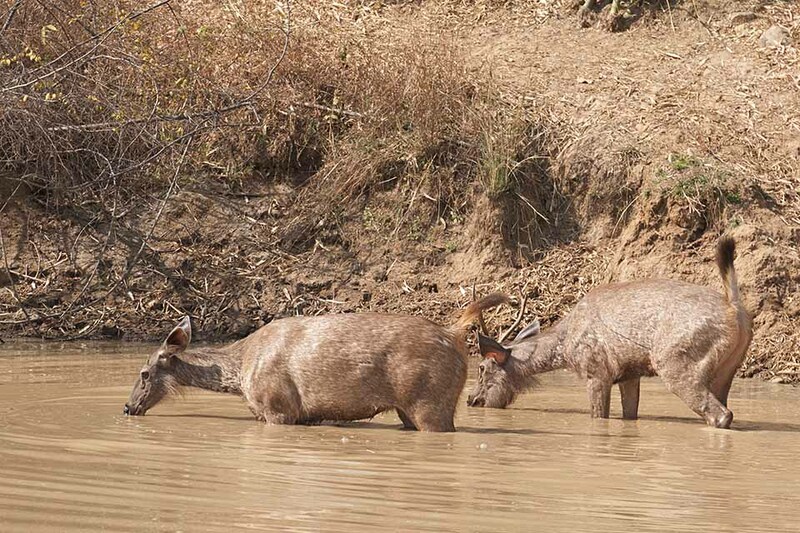 We then headed to the other waterhole where Maya had been spotted a day before and we waited. 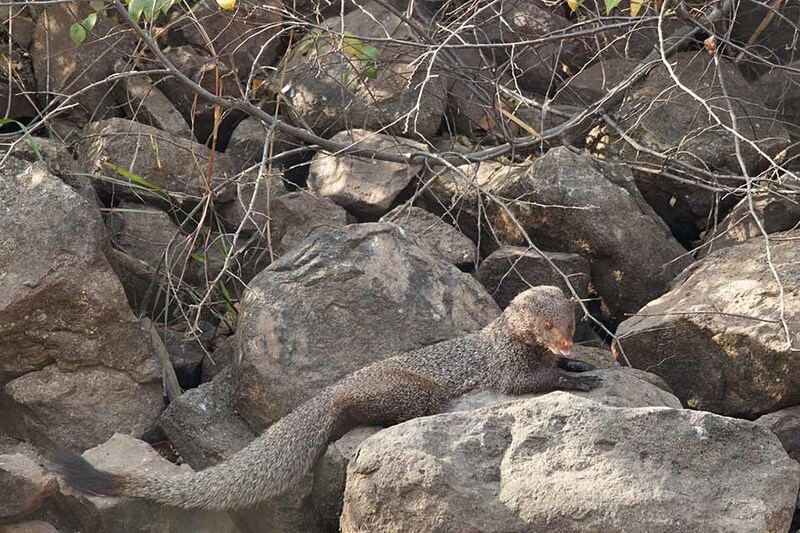 A passing Ruddy Mongoose made a nice subject to test the camera settings. 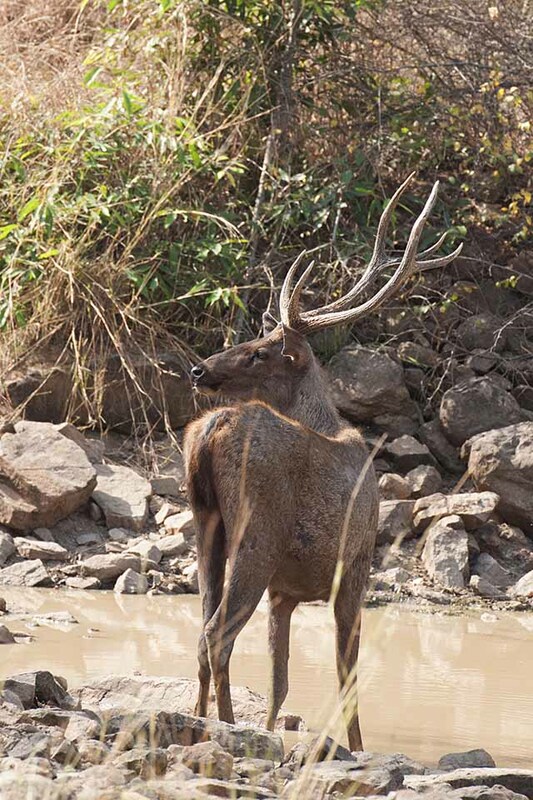 After another half an hour of waiting, a Sambar Deer cautiously approached the waterhole. 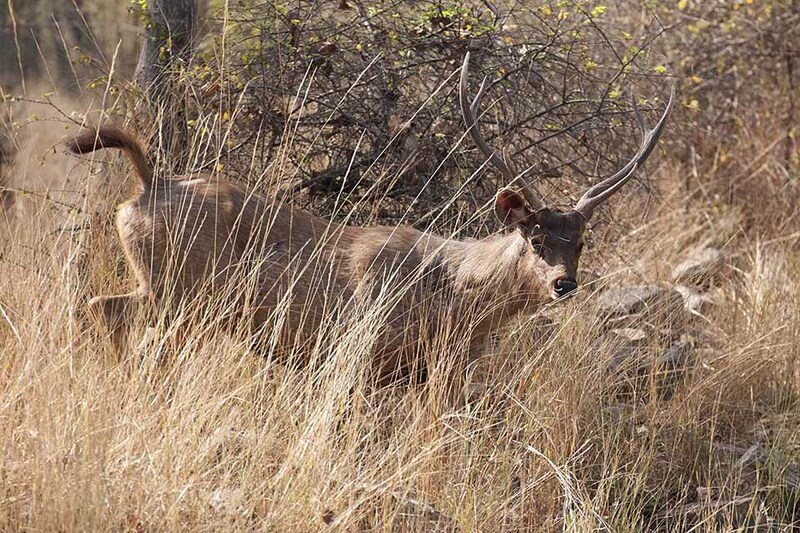 Sambars are an endangered species of deer and they are camera shy and known to be the Tiger’s favourite prey species. I readied my camera setup to get some pictures before he scuttled away. 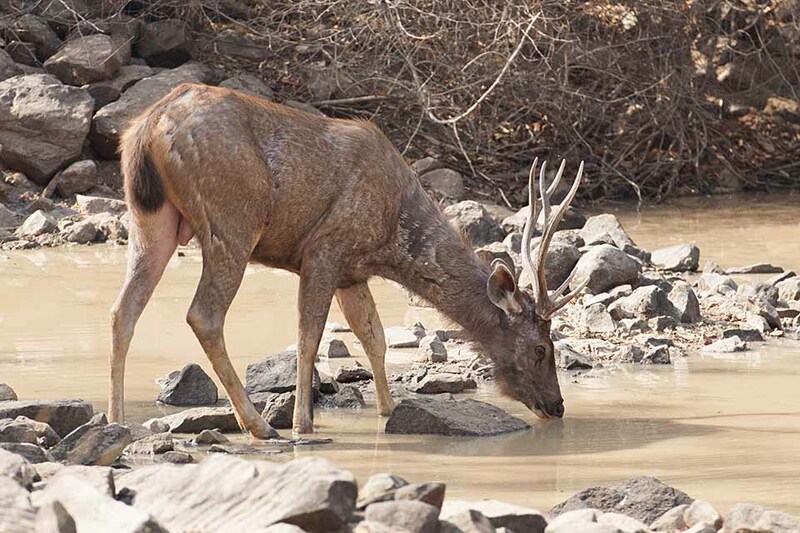 But to my pleasant surprise, another handsome Stag came along and this fella took his time drinking water. 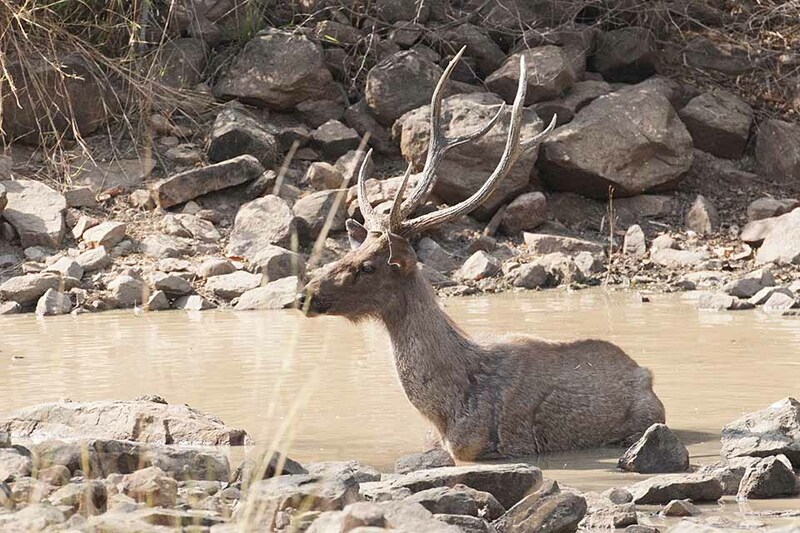 He took a brief dip before cautiously heading back into the Tadoba wilderness. Soon a couple of female Sambars also stopped by for water. There was still no sign of Maya and it was time for us to head back to the gates. As we left the waterhole and headed onto the game tracks, we saw Matkasur, another majestic Tiger and a resident of the park, majestically strolling to the waterhole that we had just left. But it was too late and we rushed back to exit the park. I made a mental note to come back to Tadoba to continue my search for Maya.